Do you ever just look at nature and see something unexplainable? For instance, I’m a cloud girl. Even as a young child, I remember staring out the window of an airplane looking for clouds that looked like something. I think I even saw one cloud shaped like Garfield on a cross-country flight! There is just something about seeing something more than just a cloud, a sky, or a rock…as if something greater than ourselves is trying to communicate something more to us. 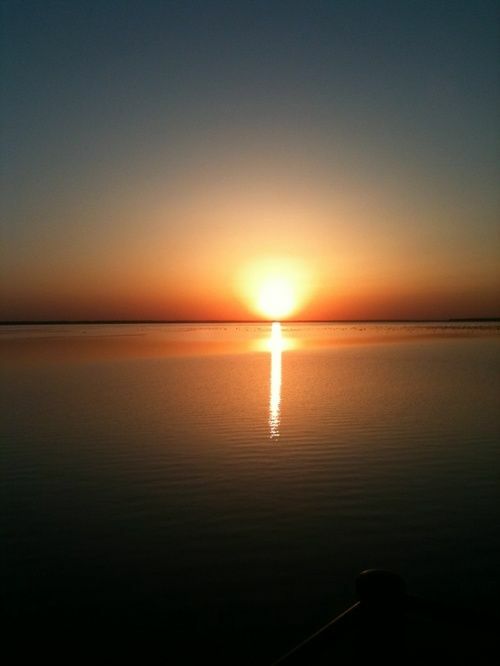 A friend of mine shared a photo with me she took while watching the sunset from the dock of her lake house. She was trying to capture the beauty of the sunset, but God had another thing in mind for her. After she snapped the photo, she happened to look down at the screen and this is what she saw…. There is a picture that is circulating in the news lately that has me captivated. NASA’s Chandra X-ray Observatory has recorded a very spectacular image some 17,000 light years away (one light year equals approximately six trillion miles)! At the center of this nebula is a pulsar whose spewed energy is creating intriguing structures. One of these structures has been named the “hand of God” by NASA. How often do you see science and religion overlap these days? Some may call this image an optical illusion due to all the light being infused by the atmosphere and the exploding stars. However, one thing is certain, each section of the picture is a different piece to the puzzle that exists in this nebula. Another thing is certain is that it doesn’t matter if the picture is an optical illusion because God is the God of creation and ultimately He controls all that takes place here on earth and in heaven. What is so fascinating about this photo and the fact that science merges with religion? Because it is scriptural. God told us from the beginning that He is the one who created day and night and the sun and stars. The prophet Joel also told us that the Lord “will show wonders in the heavens and on the earth, blood and fire and columns of smoke.” (Joel 2:30) Peter referenced the prophet Joel’s words in his first act of public preaching at the Day of Pentecost in Acts 2. Excuse me while I clear my throat! Now I know, people have been predicting the return of Jesus for so many years. Even the apostles were speaking of his return being at any moment. We’ve anxiously held our breath during the threat of nuclear war, global warming, the threat of World War III, Y2K and the Mayan calendar. However, as Christians, we must not negate all things having to do with “signs and wonders.” God foretold us that He will communicate with us in many ways. Clearly Jesus thought we might have a problem staying awake (on guard) and being alert because He felt the need to remind us! I read in one of the accounts of this image that it appears the hand is closing into a fist. I read this once and now cannot find it again. Look again at how real that hand looks. I mean it has fingernails for goodness sakes! In the Genesis account, it says “God created human beings in his own image.” (Genesis 1:27) Our image is His image. How scary it is that it looks like the hand is closing. NASA describes the hand being separate from the red lights in that picture. Can you see that red area? To me, it looks like the fiery pits of hell…full of brimstone and heat. The first time I saw this picture, my Spirit said My Hand is plucking people from the fiery pits of Hell one at a time. However, the closing fist made the hair on the back of my neck stand up and Holy Spirit goose bumps shot down my body…BUT, the time will come when My Hand will close and I will pluck no more! I was so taken by these thoughts and this picture that I tried to share my enthusiasm with my family. My 6 year old was intrigued. I started talking about the picture and the message and then stumbled into the coming “blood moon” and he got quiet…real quiet. Then he asked, “Am I going to be okay when Jesus comes back? What about you, daddy, Spenser and Grace?” The whole concept scared the pants off him and he was afraid to go into the playroom right after that! He’s okay now and I have assured him that yes, we all have secured a place in Heaven with Jesus because we have confessed Him as our Lord and Savior. If you haven’t had a chance to read up on the “blood moons” coming in 2014-2015, I’d recommend looking into it. I recently read John Hagee’s Four Blood Moons and wow, the things that have happened in the past when a blood moon was present cannot be explained as coincidence. Why? Because God told us that He would communicate to us with signs and wonders in the heavens. What beautiful images. God is such an artist! Thanks for reminding us about Luke 21:25, %u201Cthere will be strange signs in the sun, moon and stars. And here on earth nations will be in turmoil, perplexed by the roaring seas and strange tides.%u201D I truly believe in this prophecy, Kudos to you Erin! God Bless us all. Good Morning. Nice image. I'm also into science, astronomy, and nature, which are all came from God. We are really blessed that we see God in everything. God made himself visible to us through His works. Keep up the good work, Erin. God bless! 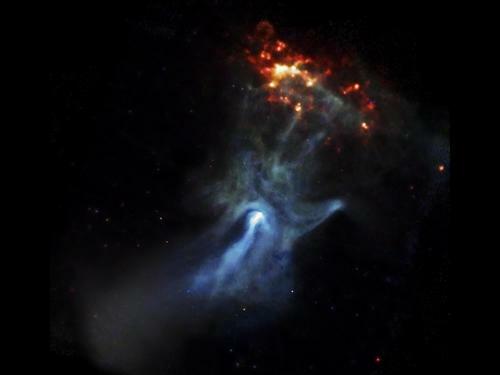 The picture 'the hand of God" is amazing but should we expect anything less from our awesome and amazing God? Thanks for reminding us to look up to the heavens for signs from our Heavenly Father. I Believe in God the. I Believe in Jesus Christ our Lord Savior! even if it has no signs are showing. Being here in the world and having a life is enough for me to Believe in Him! and I will do my Very BEST to follow His commandments!